Charlotte Felt, executive sales director for the Darien and Rowayton offices of Halstead Property, has been named “2018 Realtor of the Year” by the Darien Board of Realtors. Charlotte Felt, executive sales director at Halstead CT’s Darien and Rowayton offices, has been named “2018 Realtor of the Year” by the Darien Board of Realtors. The announcement also said: “She remains the highest representation of the practice of real estate and is trusted and admired by her peers, clients, the community of Darien and friends alike. Felt has been a member of the Darien Board of Realtors, the Connecticut Realtors and the National Association of Realtors for over 42 consecutive years and has been designated a “Realtor Emeritus” for four decades of consecutive membership with the National Association of Realtors. For the past nine years she has been the executive sales director for the Darien and Rowayton offices of Halstead Property. 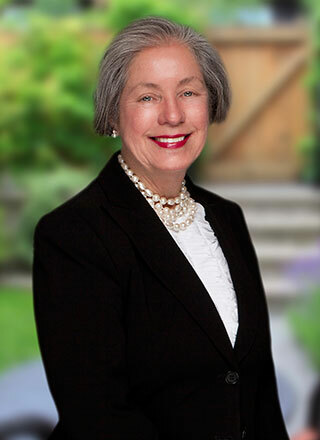 She has been active in real estate organizations, including president of the Darien Board of Realtors and Darien Multiple Listing Service Inc. in 1992, 1993, 1997 and 2001 and a director of the Connecticut Association of Realtors for 1997, 1998 and 2001. Charlotte was also the chair of the Multiple Listing Service Committee for many years and is is a standing member and co-chair of the Grievance Committee and also a member the New Member Education Committee. Among Charlotte’s charitable efforts, she has been a volunteer for Person-to-Person and Opus for 25 years. For the past 10 years she has coordinated a Realtor Toys for Tots annual holiday drive. Through her role at Halstead, Felt supports local softball teams, was the “head timer” at Wee Burn Swim Team as well as a Darien Little League baseball coach. Born and raised in the Carolinas, Charlotte now considers Darien her home.